She’s always cooking up something good for the whole family, so make every day easier with a powerful new blender, pressure cooker or stand mixer in spring colors that look fresh all year. Celebrate the KitchenAid anniversary with a new collection of bold red mixers & essential appliances. They’ll soon take pride of place on your counter, & the heart motif will make every baking project feel special. Having the right kitchen appliances on hand is crucial for enjoying your time in the kitchen, whether you're an experienced cook or just starting out. At Walmart, you'll find a wide variety of kitchen appliances at Every Day Low Prices, which means more room in the budget to better equip your kitchen. We offer options in a range of finishes to coordinate with your kitchen's decor and style while adding convenience and faster prep time to your mealtimes. 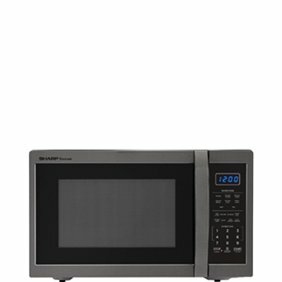 Microwaves provide fast cooking, steaming and reheating, which makes them an ideal addition to the kitchen, especially if you have a busy schedule. Built-in models save counter space by installing into the cabinets or wall. They can also cost more but deliver higher power for fast cooking. Countertop models are easy to move, and they're available in a variety of power ranges. We carry everything from traditional full-pot brewing systems to single-serve and specialty brew makers that brew coffee, tea and unique coffee drinks. We also carry french presses for a low-tech, high-flavor option for coffee lovers wanting to try a new way to brew. Slow cookers are a must-have for every busy household. Simply add your ingredients, set the time and temperature, and let the cooker do all the work while you're at work or running errands. On the other end of the spectrum, pressure cookers deliver richly flavored meals in a fraction of the time it takes with traditional cooking methods. 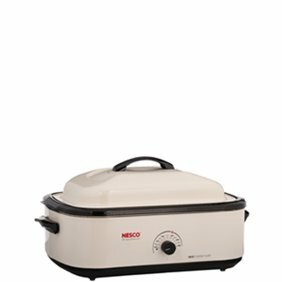 Rice cookers and steamers aren't strictly necessary, but these kitchen appliances make easy work of cooking rice, whole grains and vegetables without having to stand over the stove. High-powered blenders often perform multiple functions, from pureeing and blending to chopping and smoothie making. 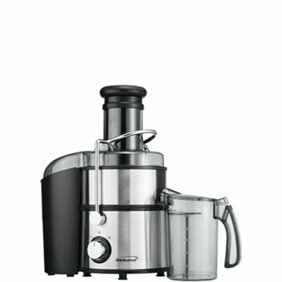 Juicers aren't essential kitchen appliances, but if you're committed to a healthy lifestyle that includes freshly prepared juices, juice extractors deliver the performance you need. Traditional toasters take up less space, but they only provide a single function. Toaster ovens toast, bake and broil, eliminating the need to preheat your oven. Convection toasters offer even, fast toasting and cooking by circulating the air with a special fan. Look for models with four to six slots and extra-wide openings to fulfill family-sized toasting needs. A must for anyone who enjoys baking, mixers do everything from beating eggs and blending batters to kneading dough and prepping ingredients. Save valuable prep time by letting your food processor do the heavy lifting. From spiralizers that create magical veggie "noodles" to high-powered processors that can grind meat and process nuts into nut butter, we carry a large selection of appliances to make food prep a breeze. Although not necessary, these appliances perform special functions that make life and certain recipes a little easier.